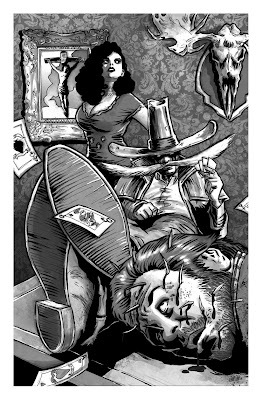 After my stint inking and colouring the cover for 'El Bigote - A Tequila-drenched Reckoning', Matt McLaughlin (writer and creator of the strip) invited me to contribute a pin-up of the character for a future issue. 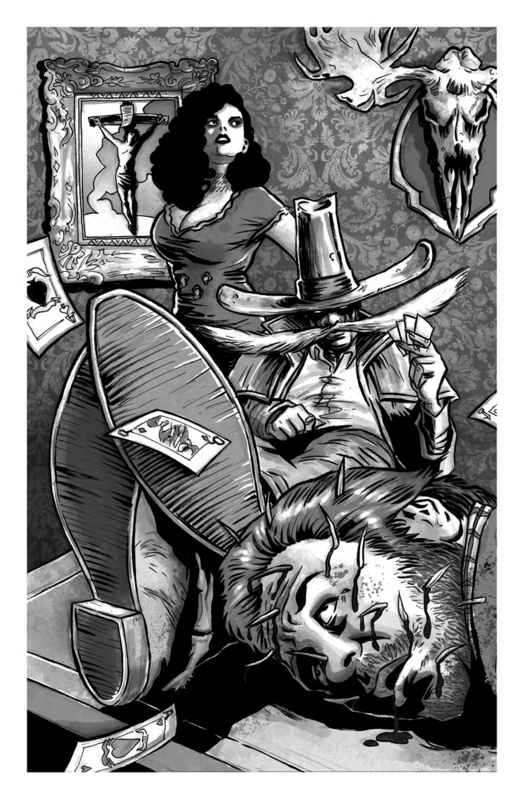 This is what I came up with - the undead quill-slinger kicking back in his favourite local hellhole, enjoying a relaxing game of poker with some poor schmuck who's clearly bitten off more than he could chew (and who looks very familiar come to think of it). The woman behind the man is the mysterious and deadly Rita Moreno - more of her coming soon in the comic too.